Whether you are looking to record your live broadcasts, webcasts, online content, training videos or more, IQ Studios has the perfect television studio for your needs. The multi-camera facility includes the latest equipment for premium video and audio recording, a spacious makeup room and even an executive green room for your guests! The high quality technology provides the highest standard of automation available, making it easier and faster than ever to prepare world class television broadcasts in our studio. Used by some of the most recognised names in television and online broadcasting, our wide range of connectivity, high definition lines and dynamic spacing offers the ideal studio for any style of broadcasting. 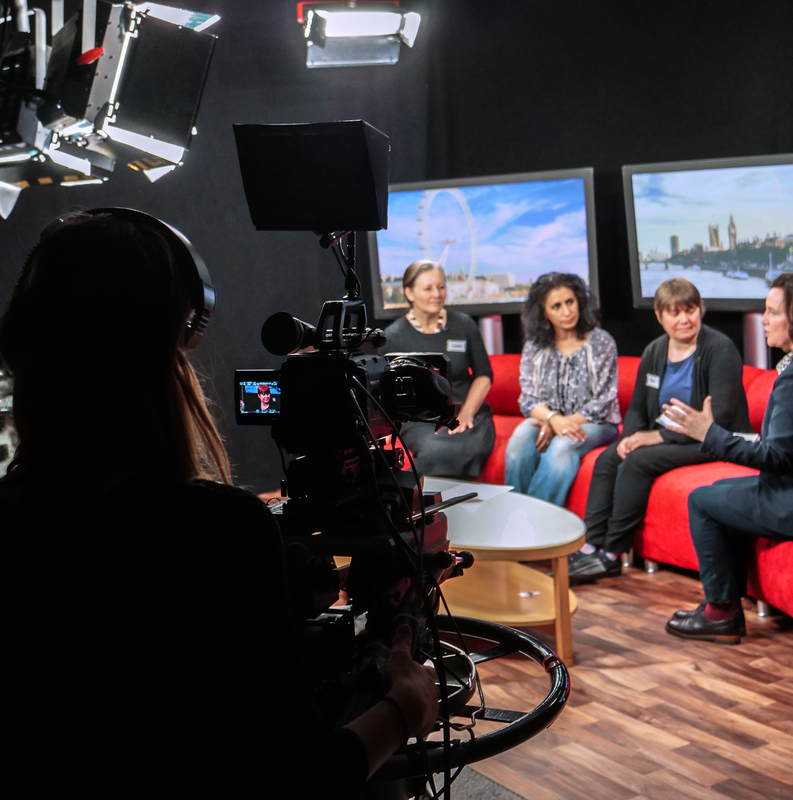 Located a short walk away from the Palace of Westminster in Central London, the IQ Studios offer everything you need for world class television production. With specialised 4K HD cameras set in a completely sound-optimised setting which features furniture and an attractive backdrop that can be tailored to your liking, our studio has been used for everything from news segments to talk shows to online reports. We can also provide expert camera operators, lighting specialists and television directors to ensure that you get the most out of your studio experience. 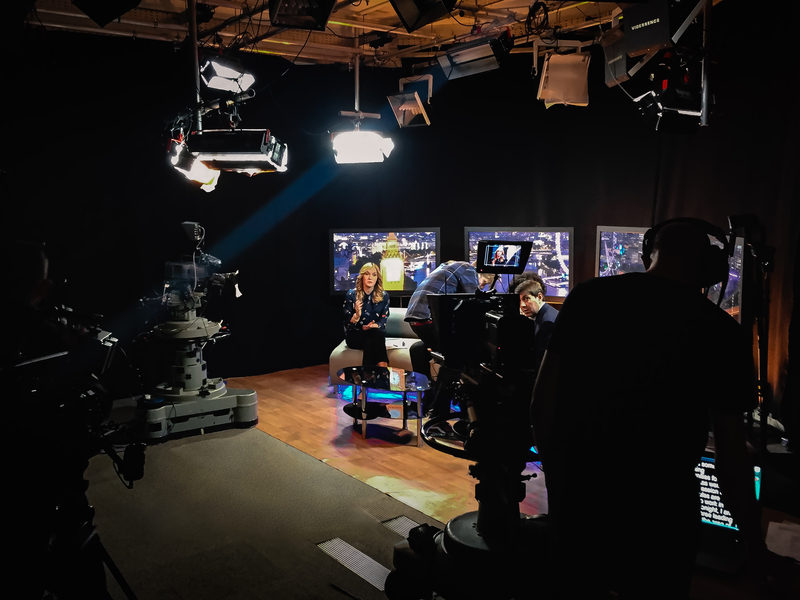 From the moment that you enter into our TV studio, you will feel the authority and confidence that comes with working in a professional television studio. The single and multi-camera availability combined with our live production gallery and premium lighting grid invites the highest level of television presentation possible. Book Your Space in the Best Television Studio in London! If you are ready to deliver premium TV, broadcasting and online content in an affordable yet professional manner, then IQ Studios is the right solution for you!